Continuing our series of ambles around Greater London. This week, follow an old railway track around the Northern Heights. 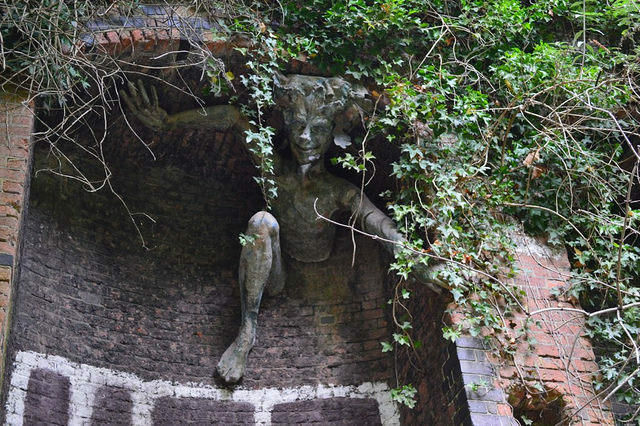 The Parkland Walk is one of London's better-known walking routes and nature reserves, but if you've never followed it, then let this serve as a prompt. 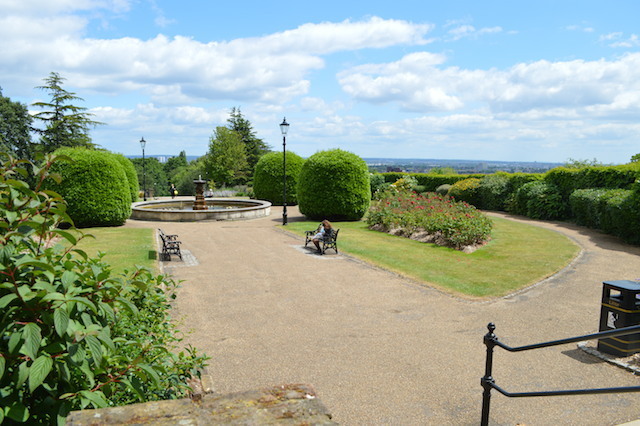 The route follows long-vanished railway tracks, which once connected Finsbury Park and Highgate, with a spur off to Alexandra Palace. Trains to Ally Pally depart King's Cross every 15 minutes or so at weekends. And what battered old relics they are — the oldest in regular service on the British mainland, apparently. 13 minutes later, we arrive at Alexandra Palace station. Follow the gruelling route uphill towards the Palace, perhaps heading through the rose garden. You'll want to spend a bit of time up here. The views are mesmerising; the architecture is too, and the building often holds fairs, exhibitions and tempting events. At the very least, you can sit outside the café/bar and admire the London skyline with a glass of wine. 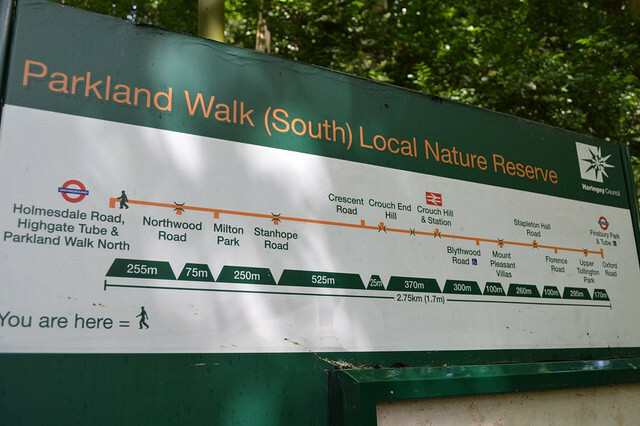 When ready, head west down hill towards the start of the Parkland Walk. It's not particularly well signposted, but so long as you're heading for the north-west of the park, you should eventually reach it. If you walk past the Little Dinosaurs play centre, then you're almost there. 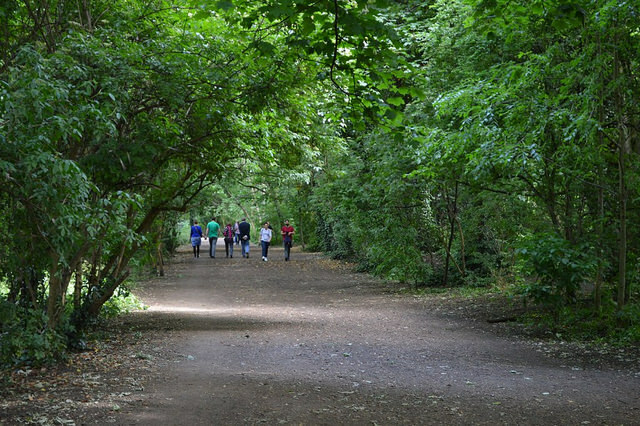 The first section of Parkland Walk dips in and out of wooded areas, revealing further views of the capital to the left, and the rooftops of Muswell Hill to the right. We also clocked a vintage rope swing, which someone on Twitter tells us is at least 12 years old. 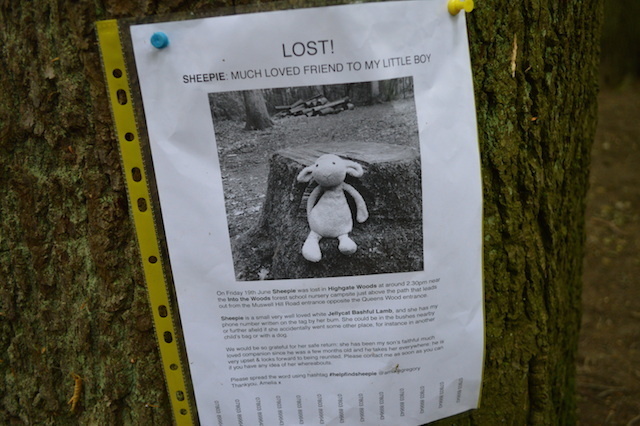 If you've seen the lost toy, tweet #helpfindsheepie. Part way along the eastern walk, look for a small gate in the fence to take you out to the road. This leads across to another sizeable area of ancient wood, Queen's Wood. Here the path joins the Capital Ring walking route, whose signposts can help you navigate. You'll be led up and down the hilly woods, and round onto some side streets, before coming out next to the Boogaloo pub on Archway Road. From here, we dip down back into some more woods and regain the Parkland Walk. Before you head off east towards Finsbury Park, take a little detour off the beaten track to the west (left). 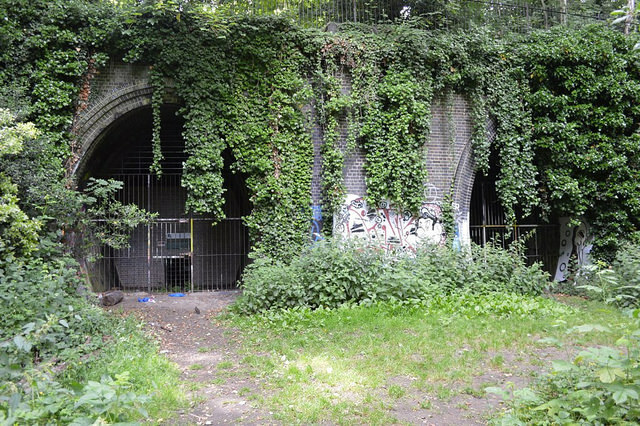 After a couple of hundred metres, you'll reach some old tunnels leading through to Highgate Station. The tunnels are now blocked up and used as a sanctuary for bats. Yup, London has its own batcave. More rail geekery back on the trail, where the main stretch of Parkland Walk is mapped out in a London Overground style. 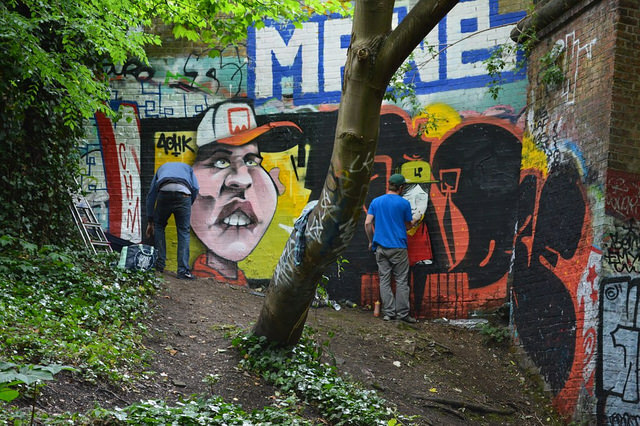 3) Lots and lots of graffiti writers. Some find it eye-catching, others are not so impressed. Debate here. You'll encounter some kind of intriguing diversion every hundred metres or so. We also think we might have glimpsed the fate of #helpfindsheepie. The Walk was peppered with discarded toys, arranged in peculiar attitudes. Perhaps Sheepie succumbed to a similar fate, and ended his days perched on a crumbling bit of rail infrastructure. Poor mite. 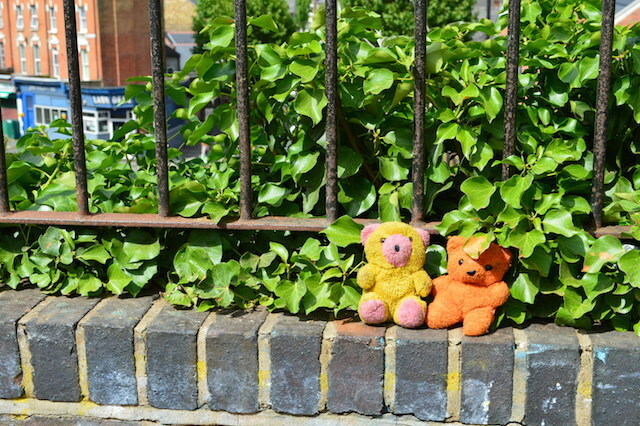 The walk soon comes to an end in Finsbury Park, where we can heartily recommend a trip to Blighty coffee shop on Blackstock Road for a restorative cuppa in its slightly odd back garden. 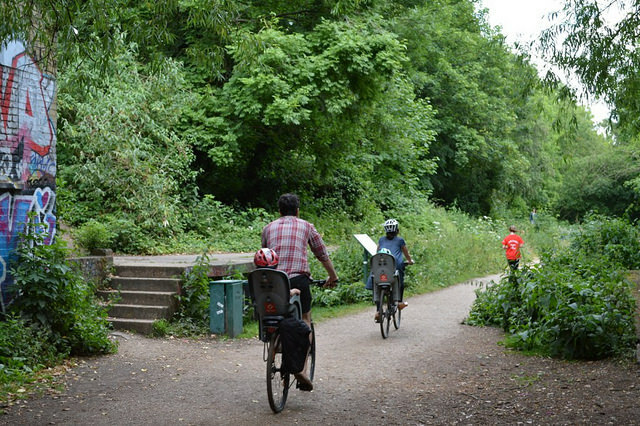 For more on the Parkland Walk, see the Friends of Parkland Walk website. 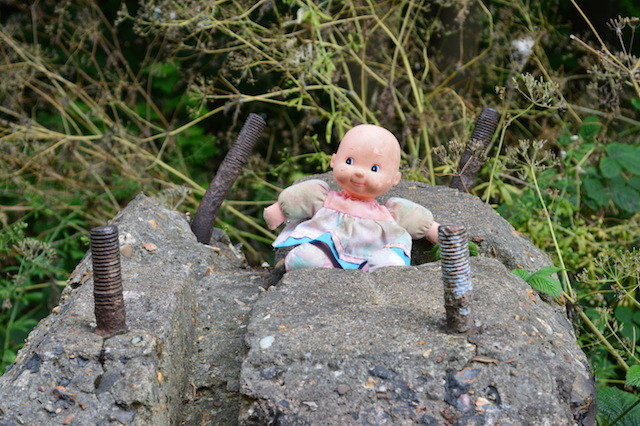 Erith to Greenwich (21 km): Thames walk with an industrial flavour. 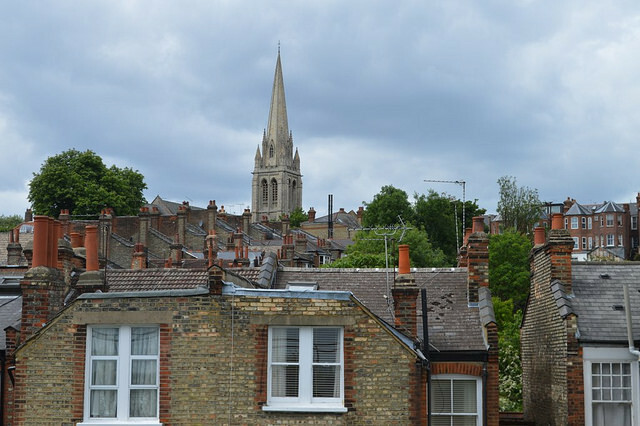 Richmond to Twickenham (4 km): Short Thames walk with plenty to see. Dollis Brook below Barnet (9km): River walk with a particularly countrified feel. Hayes to Shirley (7.5 km): A windmill, Winston Churchill and a great view. Mortlake to Hammersmith (5.2km): Pleasant riverside stroll with pubs and mystics.